Average house sizes have been increasing throughout the developed world, despite falling family sizes, rising property prices, and increasing levels of mortgage debt. The average size of a new family home has been growing steadily in the United States, from 165m2 in 1978 to 230.3m2 in 2007 and 247.3m2 in 2013. This increase is thought by many to have influenced the global financial crisis, with people taking out unaffordable levels of debt in an effort to obtain property-based wealth and associated prestige. Also known as micro houses, compact houses or mini houses, the decision to go small is both a practical and ideological choice. Typical examples range anywhere from 10m2 to 100m2, with some people in the industry calling for a distinction between truly tiny houses and small houses. In addition to being primary residences, some people also decide to purchase or build tiny houses as motorhomes, home offices, in-law suites, and homes for returning adult children. There are many reasons to go small, including debt reduction, decreased maintenance, self-sufficiency, lower taxes, and a reduced carbon footprint. 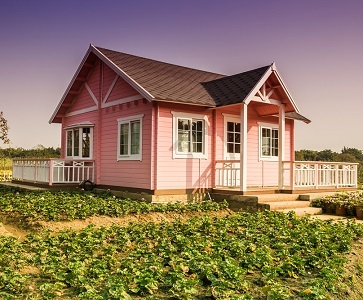 According to statistics gathered by the Huffington Post, the average price of a tiny house in the United States is just $23,000, with 68 percent of tiny house dwellers having no mortgage. Tiny houses are certainly not for everyone, however, with most people unwilling or unable to make the down-shift due to lifestyle choices and family size. While the tiny house movement began in the United States, interest in small sustainable houses has spread around the world during the last few years. A number of commercial and art-based projects have sprung up in recent times, including the 'House in a Suitcase' project in Spain, the 'Micro Compact Home' project in Germany, and 'Futteralhaus Modell FH_25' in Russia. The movement is also gaining momentum in Australia and New Zealand, with the Tiny House Australia Facebook page having over 15,000 followers. Even for people who are unwilling to move into a bona fide tiny space, the small house movement has some important lessons to teach us all. By embracing minimalism and learning to get by on less, you can affect your life in a variety of positive ways. By downsizing and embracing new building methods, you can learn to be more environmentally and economically responsible. While the practical realities of a micro house will keep most people away, the tiny house movement is helping people to realise that bigger is not always better.